If you’re like the majority of people, you go to the grocery store with the best intentions. You load up on items that you have every intention of using up before they rot or turn stale. In reality though, a lot of that food ends up in the trash because it didn’t last as long as you had envisioned. The solution is either to shop for groceries more often or find a convenient way to store food for longer. The Vacuum Clicka is an easy to use, portable and versatile gadget that’ll save you those extra trips to the store. 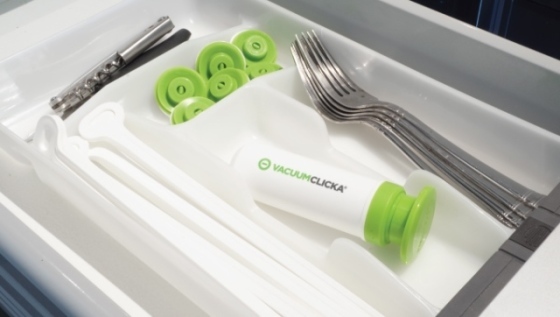 Unlike conventional vacuum sealing machines, the Vacuum Clicka is affordable and can be stashed away in a drawer. 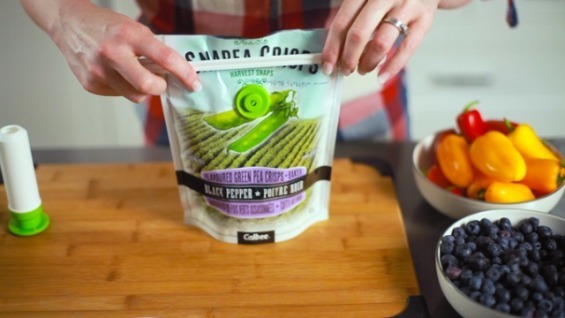 Even better, you don’t have to buy special bags to seal your food. The system works on the bags your food comes in. To use Vacuum Clicka you just place one side of the clicka valve inside your bag (approx 1 inch from food), position the upper clicka valve on the outside of the bag over the lower valve and snap together. You then attach a bag clip to the top of the bag and use the pump on the valve to pump out the excess air. You can use the Vacuum Clicka to keep produce fresh, avoid freezer burn on frozen food, and extend the freshness of pantry items such as snack food and cereal. 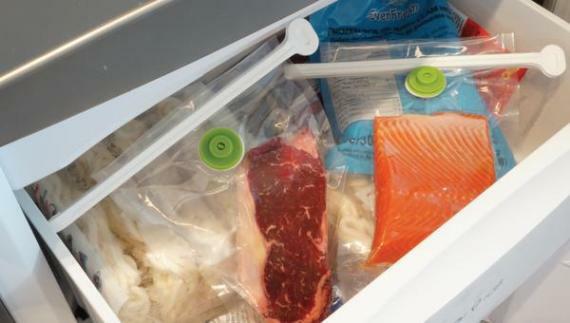 It can even be used to vacuum seal non-food items to save space in the home or when packing. When you need to clean Vacuum Clicka simply toss the pieces in the dishwasher.